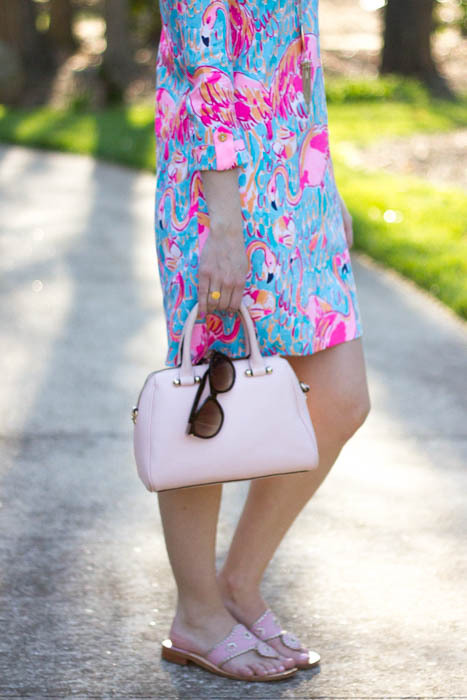 If you've been reading Caralina Style for awhile you know that I LOVE Lilly Pulitzer t-shirt dresses. I posted this zebra printed one last fall, this coral reef printed one last summer, and this elephant printed one about 2 years ago. They are just so comfy, but look like you still put some effort into your appearance. 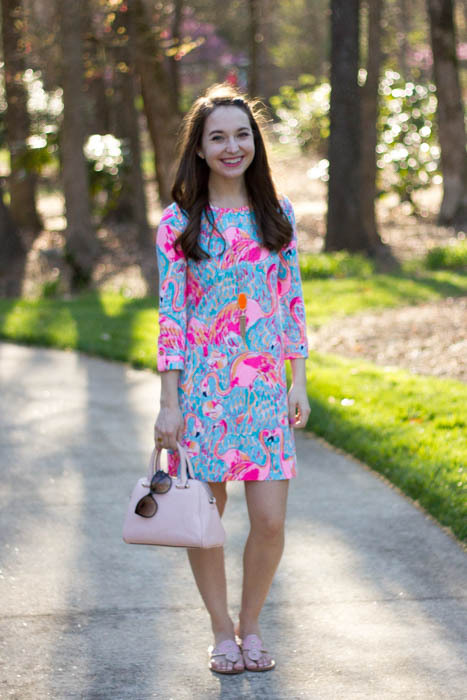 I also like to dress them up a little, like I did with my zebra printed one for fall, and this flamingo dress when I first got it in this Instagram. 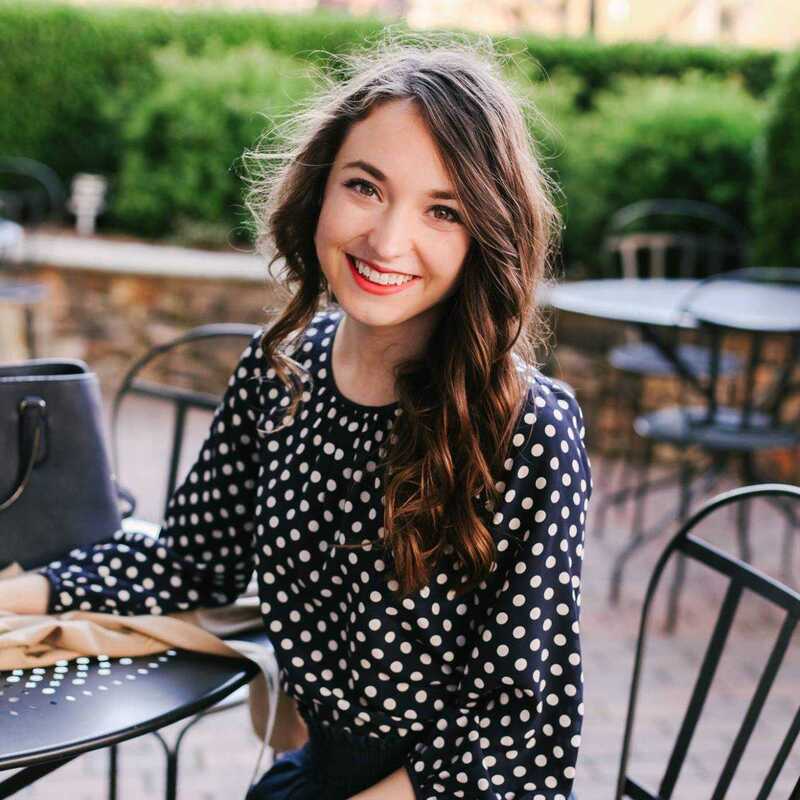 I wear them for just about any occasion, but they're actually my favorite thing to wear on a road trip! They travel well (again) because of the comfort, and they don't wrinkle much either. 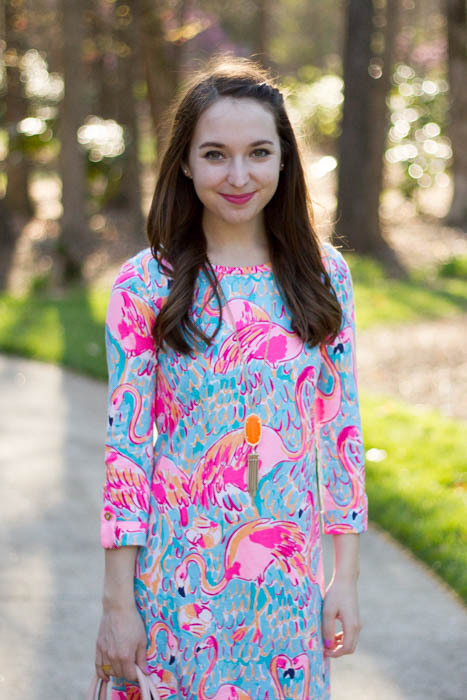 And as if it couldn't get any better, this specific style is new this year and the fabric actually has sun protection! Perfect for the beach, or any day you spend a lot of time outside. 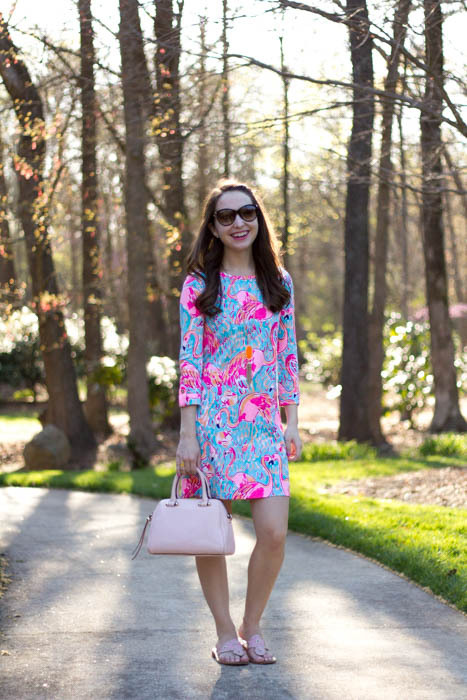 I love how simple these Lilly dresses are! They are great for dressing up or down, and the colors add happiness to any wardrobe. 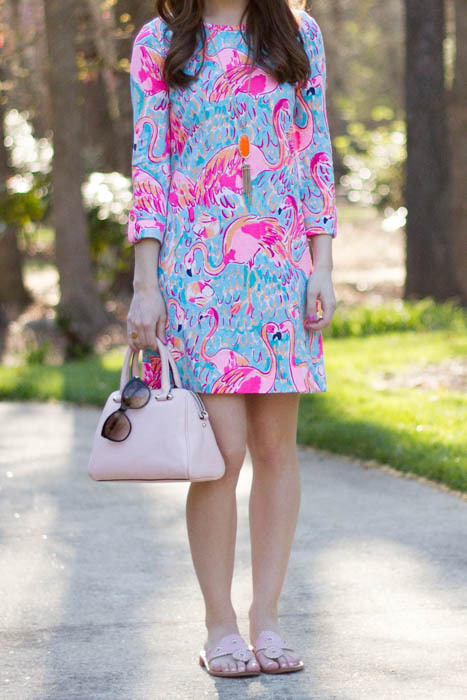 You styled it really well! 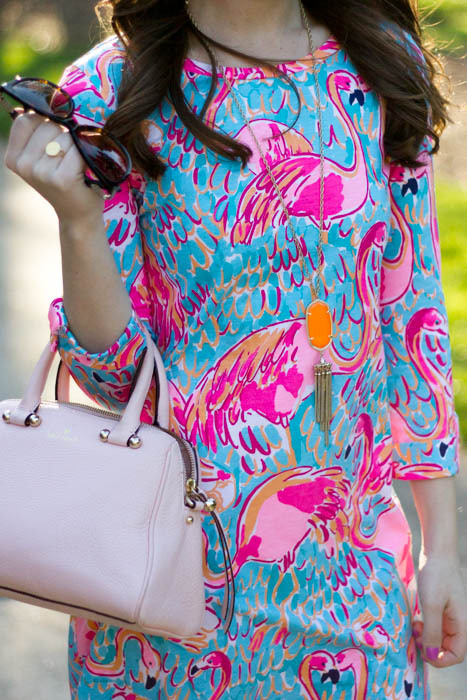 I love flamingo prints! 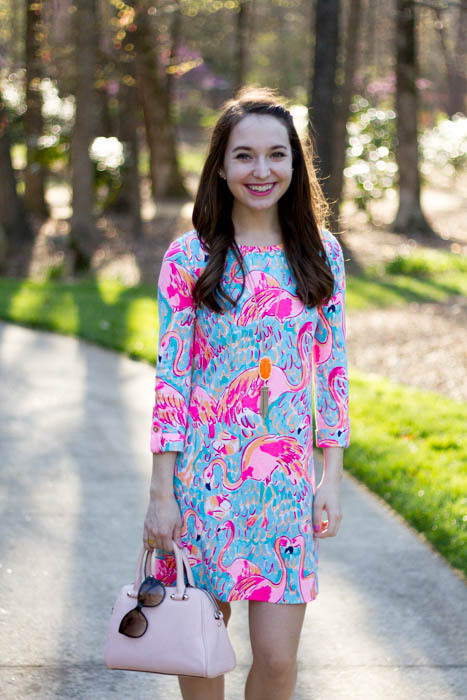 What an adorable dress! 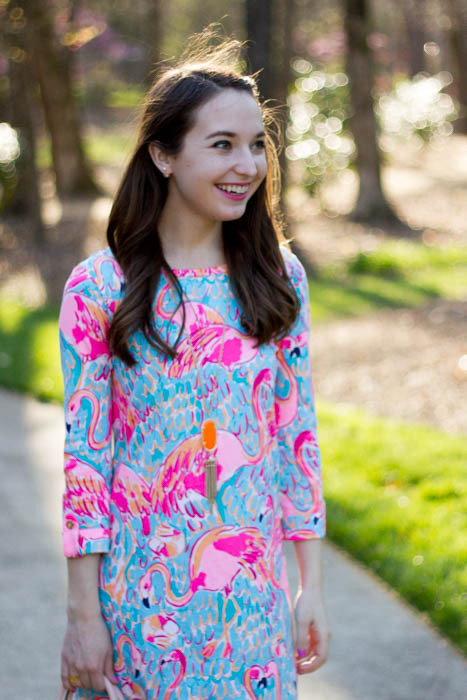 I am obsessed with Lilly t-shirt dresses, they're the best! This one is so cute!